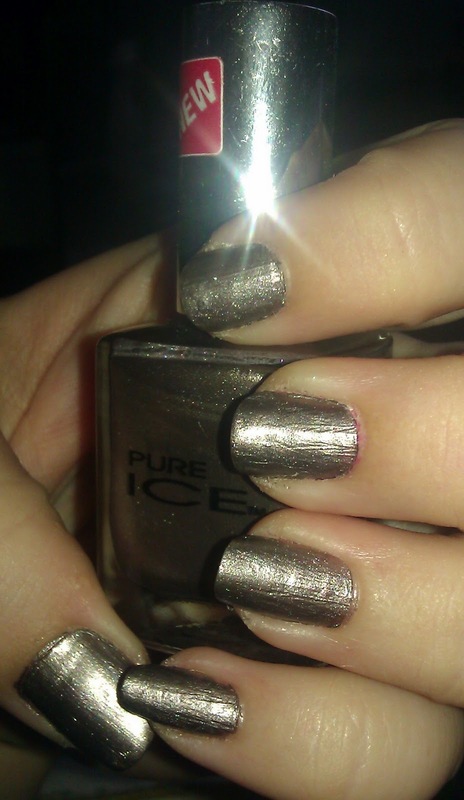 Pure Ice in Risk Taker. Both of these with flash. I’d love to show you without, but its terribly dreary out! Without flash, it is much more matte and wearable. I love this shade! 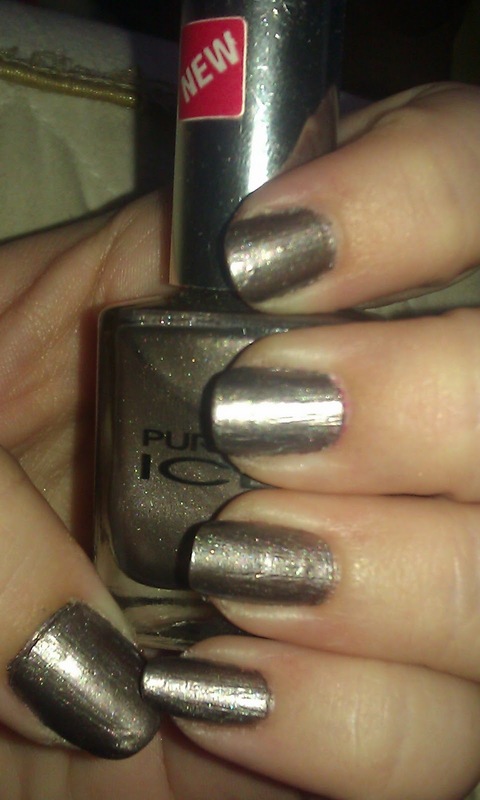 A mix of gray and silver, it is less murky than my grays but also not as glaring as my metallic silvers. Unique and high shine in the light, I almost wish I had saved this for my Halloween special coming up in October… In fact, I bet you’ll be seeing it in a design next month! What do you guys think> Do you ever rock grays or do you pass on those altogether? Will you be sporting anything like this for fall or even winter?